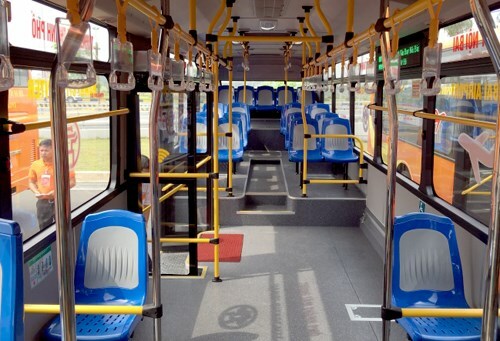 The Hanoi Transport Corporation (Transerco) put into operation a new bus route connecting downtown Hanoi with Noi Bai international airport, costing only 30,000 VND (1.35 USD) per leg, on April 30. The No 86 route spans 33 km with eight stops, starting from the Hanoi Station at Le Duan street. Travel time is up to 55 minutes per leg. Buses used in the route are capable of carrying 80 passengers. They have reserved seats for pregnant women, elderly people, children and disabled people. Passengers can access free wi-fi on these buses. The bus is scheduled to leave the Hanoi Station between 5:05 am and 9:40 pm and Noi Bai airport between 6:18 am and 10:58 pm. Free wifi service is available on the bus.